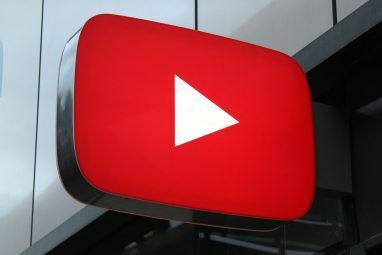 In my opinion, YouTube is the best market for putting your music into the public eye. There are so many opportunities that it provides, ranging from building a raw personal fan base all the way to being discovered by a major record label. Also, if the record label thing doesn’t work out, there’s always the chance of being picked up as a YouTube The 5 Best Sources For Animated GIF Images The 5 Best Sources For Animated GIF Images I’m convinced that the animated GIF reveals something about humanity. Present your average person with a repetitive moving picture and they’ll become absolutely entranced. I’ve lost many hours of my life to dancing bears and... Read More partner. With that being said, I love independent musicians who take advantage of this online medium. 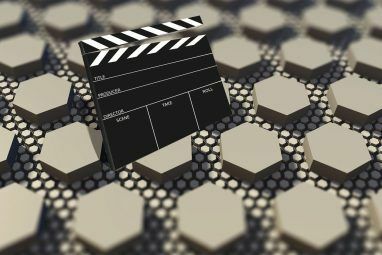 As a matter of fact, that’s why I wrote about how you can make your own basic music video How To Create Your Own Basic Music Video How To Create Your Own Basic Music Video There are lots of musical artists waiting to shine, but you are forced to have some form of video to accompany your music. Thankfully, it's not hard to make your own online video content. Read More a little while back. However, today, I’m all about sparking the online career. Right off the bat, you need to shoot an EPK, my musically-gifted friend. However, what exactly is an EPK? Well, it’s an electronic press kit, and basically, this is a video that provides a sample of your music (playing in the background, likely) along with interview answers detailing exactly who you are, what your goals happen to be, and your style of music. Think of it as a bio on you and your band. Personally, I would recommend letting the video simply be an interview set-up mixed in with b-roll of yourself performing. Use the other videos on your channel for these people to listen to your music. After that, send the video to music blogs 11 Free MP3 Music Albums [Sound Sunday] 11 Free MP3 Music Albums [Sound Sunday] Read More and various venues. This next tip may sound a little devious, but trust me, it’s not. First, do me a favor real quick, and open a tab for YouTube. Run a search for the song, “Somebody That I Used To Know” by Gotye. After looking at the results, come right back to good ol’ MakeUseOf. So tell me, did you see the covers of the song in the results? (Check out the one by Walk Off The Earth – it’s pretty nifty.) This is what I’m getting at. Do covers of some fairly popular songs, and if you’re good enough, people are bound to to look at your other videos. However, be sure to bring some original content to the table. People love acoustic videos because of the raw edginess and realness of it all. Seeing that we live in a world flooded by social networking The Negative Impact Of Social Networking Sites On Society [Opinion] The Negative Impact Of Social Networking Sites On Society [Opinion] I have accounts on several social networking sites, and spend far too long on them writing my own updates and reading the updates of others. I enjoy doing so, being able to interact with friends,... Read More , it only makes sense. Why? These videos are more personal than others, and it just makes sense. With that being said, do yourself a favor and record some videos of yourself playing some acoustic tunes. When you do these, you don’t need the fancy microphones (and maybe not even the fancy lighting). Just enjoy yourself and be real with your audience. As I was saying, we live in the social networking world. This provides you with a great opportunity to stay personal with your audience while performing for them at the same time. 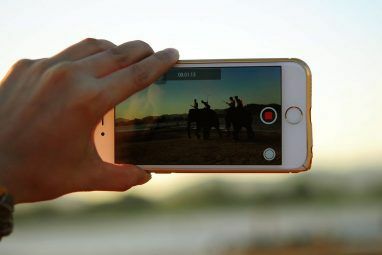 A great way to do this is by vlogging, so do yourself a favor and make some personal videos. Some ideas for content could be answering questions from your audience or explaining the meaning behind some of your songs. An alternative to YouTube for vlogging is a site called Keek. You could actually integrate a Keek link with your YouTube website, so uniting both web services could do you some good. Keek is designed for very short vlogs done with a phone, and I would compare it to the Twitter of vlogging. Alternatively (or cooperatively), you could blog Write 280 Character Micro-Journaling Entries On 280Daily Write 280 Character Micro-Journaling Entries On 280Daily Much of social media is like keeping a journal or diary. We use Facebook and Twitter and personal blog sites to share our thoughts and opinions, daily activities, goals, and observations. But there are many... Read More everything you do and connect it to your YouTube account. This will give your fans another chance to stay connected to you online in a very personal way. Some ideas for a vlog would be to post pictures of yourself with fans at concerts. When they go online to your blog, they would be more likely to share the postings if they see themselves. Furthermore, you could blog about music that you like. This can generate discussion between yourself and your fans via comments. The whole point is to make it personal. This is the generation of narrowcasting – not broadcasting. Collaborations are one of the best decisions that you can make when trying to spread your content online. One, it’s always nice to make friends. Two, it opens up another window to deliver your content. How? Well, take Band A and Band B. Band A has 2 million followers, and Band B has 3 million followers. Band A and Band B decide to do a collab video 7 Awesome Google Chrome Promo Videos 7 Awesome Google Chrome Promo Videos Google Chrome has come from nowhere to be the third most-popular web browser in the world. It's rapidly catching up to Firefox, which is currently sitting in second place behind the omnipresent Internet Explorer from... Read More together, and together, this reaches an audience of 5 million people. Band A receives 3 million more followers, and Band B receives 2 million more followers. Everybody wins. Publishing your music online is a great decision anyway, and YouTube (in my opinion) is the best place to put it. Currently everything is delivered visually, and that includes music. If you have something worth listening to, you better have something visual to go with it (and it doesn’t have to necessarily be a music video). What other tips do you have for publishing your music on YouTube? Do you have any music we should listen to? Explore more about: Indie Music, YouTube. I take it April is somehow related to you? Actually, no : ) Long story behind that. Joshua Lockhart is an okay web video producer and a slightly above mediocre writer of online content.